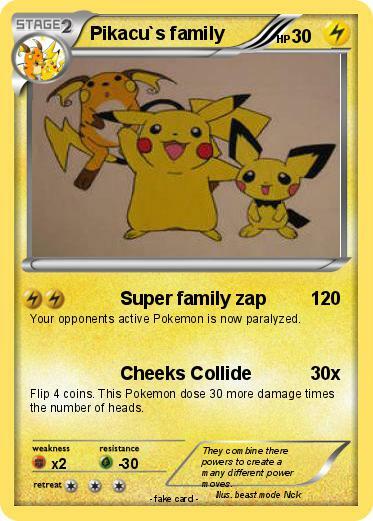 Your opponents active Pokemon is now paralyzed. Flip 4 coins. This Pokemon dose 30 more damage times the number of heads. Comments : They combine there powers to create a many different power moves.